– Research in pediatric oncology *. The maximum amount allocated will be between € 150,000 and € 200,000 per research axis. 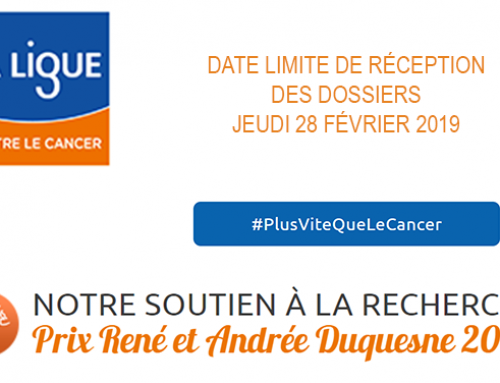 This call for projects is intended for all health professionals or researchers, working in France, in a French hospital, a public research institution or higher education French. The objective of the project must be non-profit and research must take place in France. • any research work in Public Health, especially on the quality of life of patients, adults or children, with cancer treated with immunotherapy, on care pathways or on economic models that maximize efficiency in the field of immuno-oncology. (*) The Board of Directors of the Foundation and the Scientific Council wished to isolate these two last sections to show their interest in research in these fields. It seems important that the teams concerned take advantage of this PAA because the funding for this type of research is scarce. Inaugurated in December 2015, the BMS Foundation for Immuno-Oncology Research has set itself the goal of promoting exemplary initiatives of general interest in the field of immuno-oncology. The Foundation’s mission is to promote or support research in four areas: basic research, clinical and translational research, public health research and care pathways, and pediatric oncology. Thus, the BMS Foundation launches annual calls for projects and supports scientific or philanthropic projects. 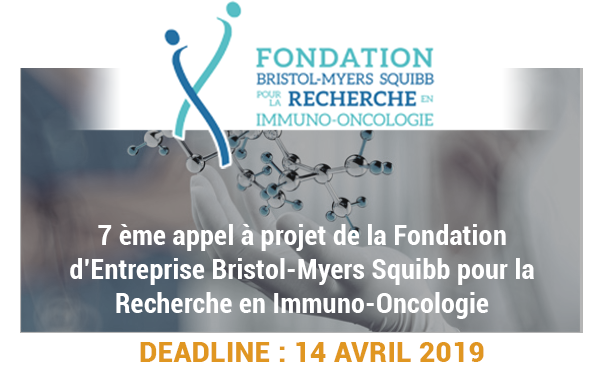 Application forms must be entered on the website www.fondation-bms.fr from March 15th and before April 14th, 2019 (midnight).